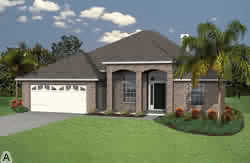 Wyngate Forest community in Jacksonville, Florida. 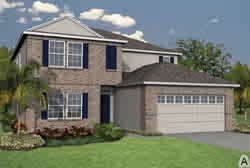 Wyngate Forest is a terrific neighborhood with homes built for the future. Here you can find the home of your dreams in one of the most popular Southside neighborhoods. Quiet, yet near highways, hospitals, office parks, shopping, restaurants and schools. All the homes were built by Centex Homes, one of the nation's largest home builders and America's most admired company in Engineering and Construction as ranked by Fortune Magazine. Centex Homes is also well-known for their innovation, quality of products and services in residential construction. 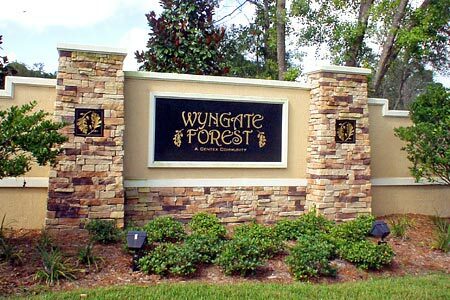 Wyngate Forest is located on Touchton Road just west of Southside Blvd. near Tinseltown. The community is ideally situated between Southside Blvd. and I-95 and is within an easy drive to the beach, downtown or airport. Another benefit to Wyngate Forest's location is the proximity to St. Johns Town Center, the Avenues Mall, Regency Square Mall and many surrounding shopping areas, entertainment and some of Jacksonville's finest restaurants. Wyngate Forest is governed by a Homeowner's Association with Covenants and Guidelines that were created to maintain a quality neighborhood and to protect property values. Current HOA dues are $605 a year. 32' X 8' Covered Lanai, Foyer, Vaulted Ceiling, Living Room, Dining Room, Family Room, Kitchen and Nook, Laundry Room, Master Suite with Walk-in Closet. 17' X 10' Covered Porch, Foyer, Vaulted Ceiling, Living Room, Dining Room, Family Room, Kitchen and Breakfast, Laundry Room, Master Suite with Walk-in Closet. 10' X 10' Patio, Foyer, Vaulted Ceilings, Living Dining Room Combo, Family Room, Kitchen and Nook, Laundry Room, Master Suite with Two Walk-in Closets.